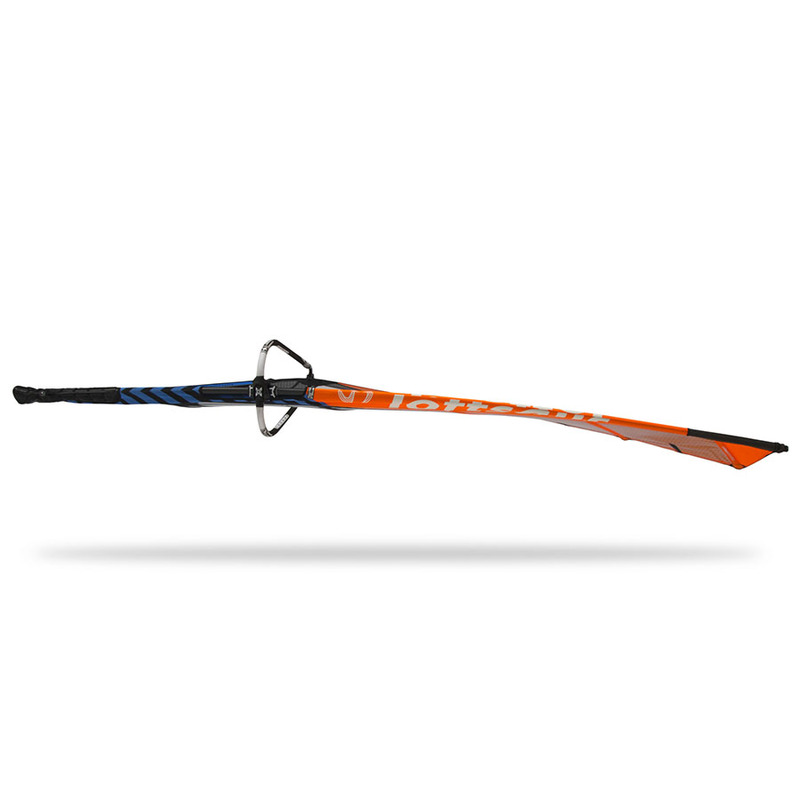 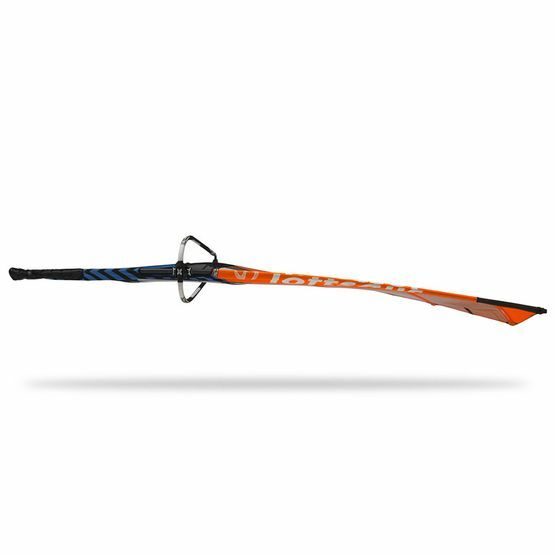 Premium balance & stability in challenging conditions is what the Purelip is all about. 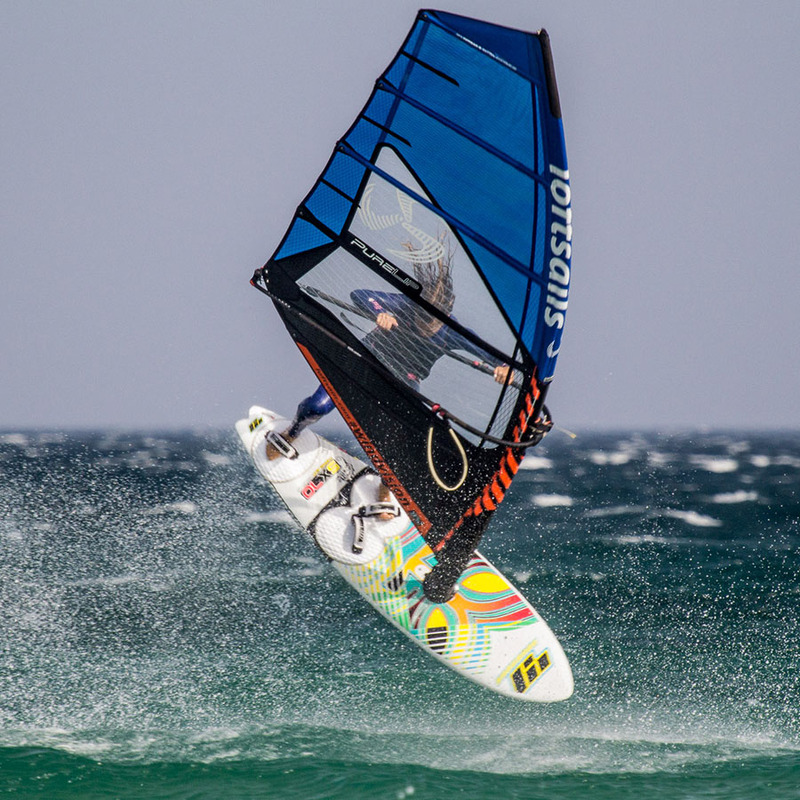 Playing in the waves is demanding, both for you and your gear. 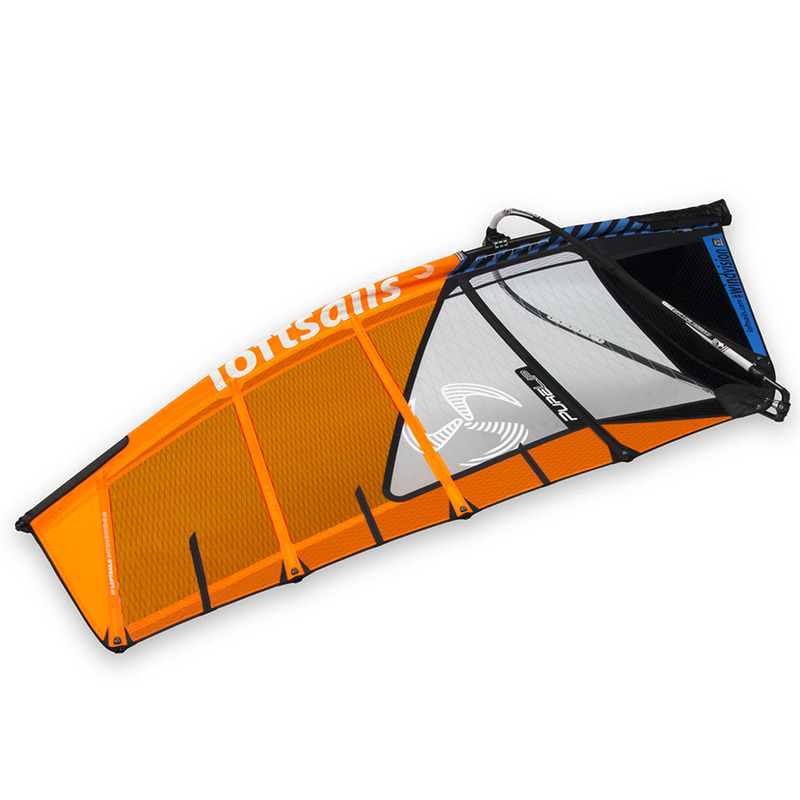 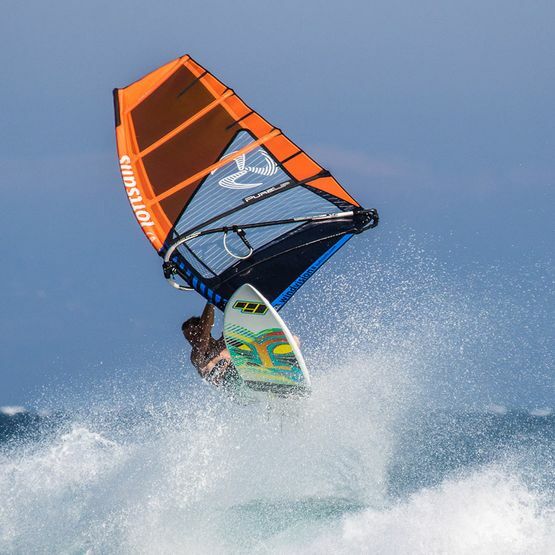 The number one priority of the Purelip is to be able to handle brutal poundings in breaking surf, followed by rig stability in varying winds associated with wavesailing. Stability and durability are the strong suits of the Purelip, which magazine test reports over the years undoubtedly confirm. 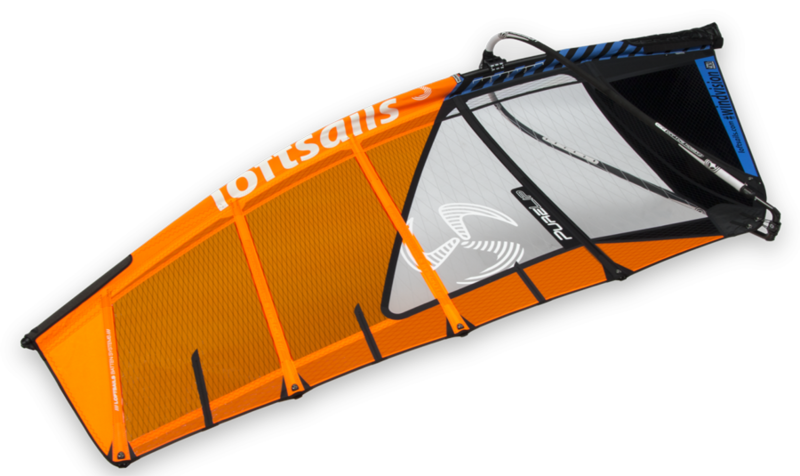 The Purelip 2018 is built to survive: total xply construction, 5mil triax low, 4mil biax window sections and our new 3.5 biax upper body provides the stability you need while making sure the sail is reinforced to handle anything you put in its way. 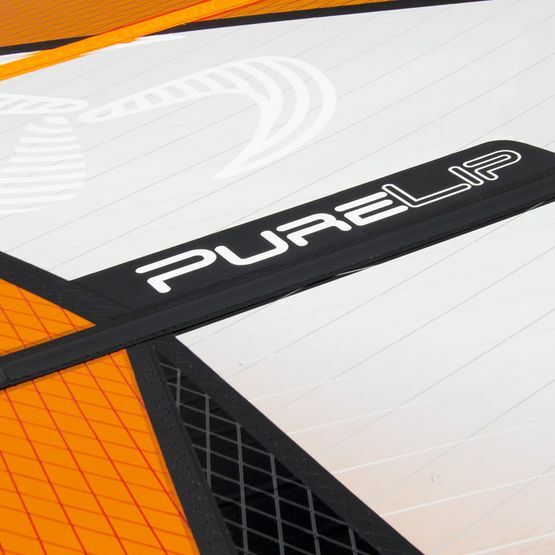 Sometimes conditions take you to limits... go there and beyond with total confidence in the Purelip. 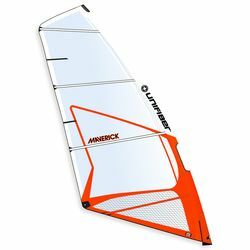 Light and tough Integrated Panel Concept (IPC), 3-layer head/tack/clew radials extend into the all X-Ply body- ultimate resistance in heavy surf environments. 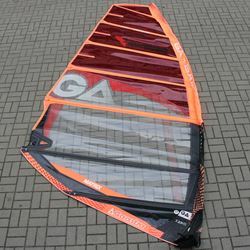 Sizes 3.7 and up 5 batten layout, 3.4 and smaller 4 batten layout. Exclusive 3.5mil Biax body panels – reliability in the rinse cycle and UV longevity. 5 mil Triax-laminate luff and foot panels – profile stability in radical conditions. 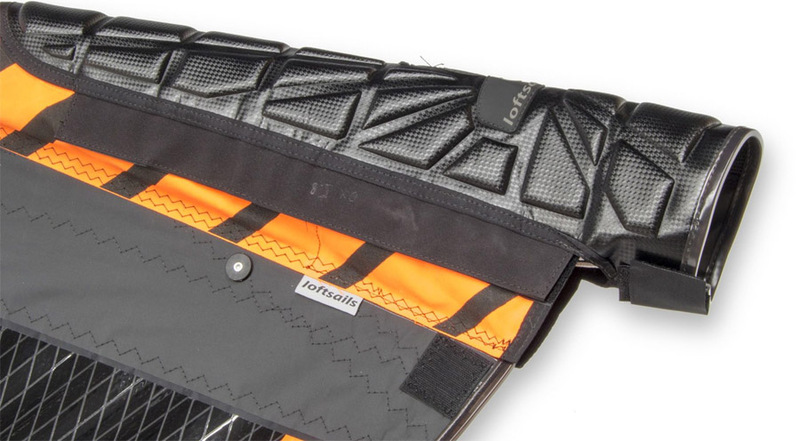 Triple foot and triple reinforced luff construction for maximized longevity. Forward-profile batten systems with Loftsails' exclusive Standing Battens at specific locations – responsive, low-end drive and easy upper-end handling. 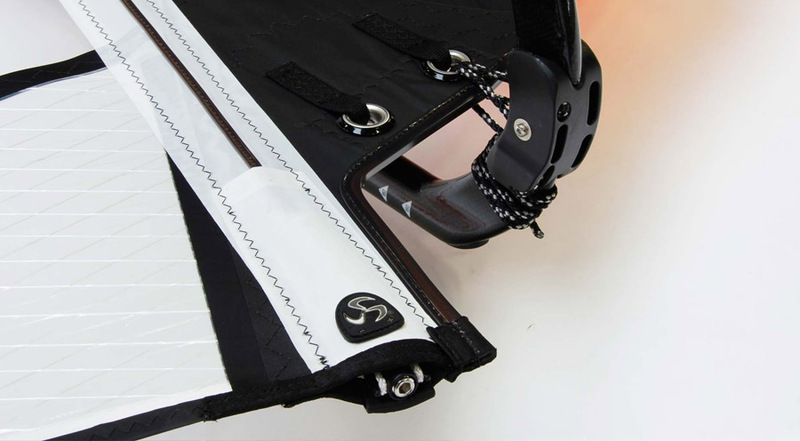 Dual clew eyelets with webbings – adjust leech release characteristics to suit your sailing style and conditions. 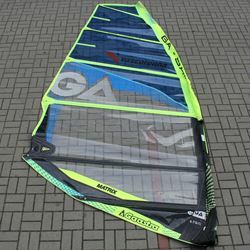 Hard trim lowers the power centre; streamlining the rig for strong winds. 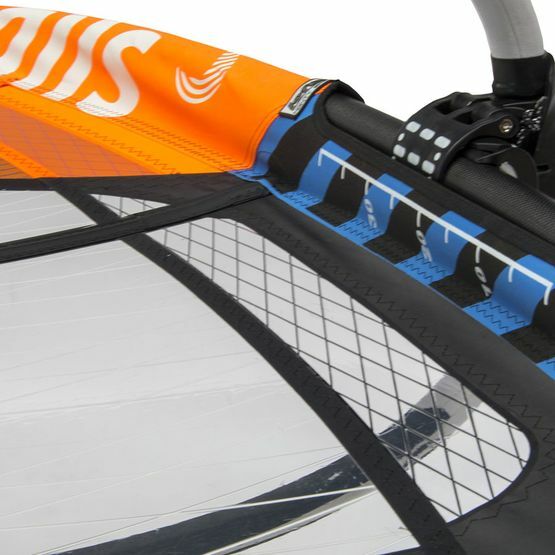 The head and tack corners on all Loftsails designs share this feature. 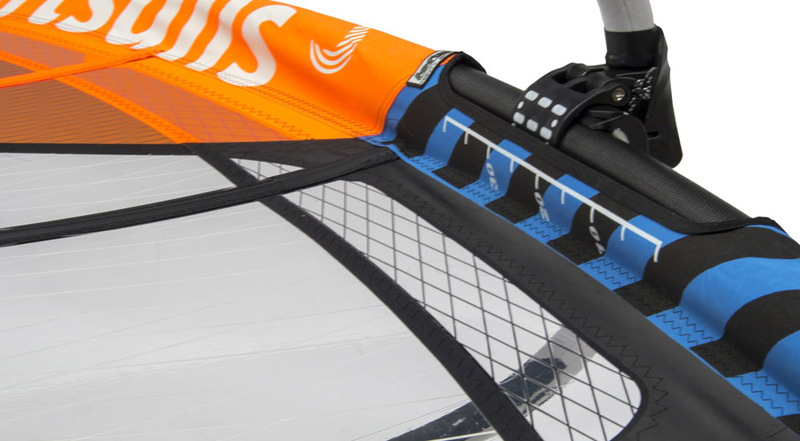 The Pure Lip clew is also included IPC- the seams that extend into the sail body from under the clew allow the “boomzone” panels to extend under the clew eyelet. 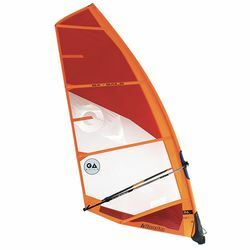 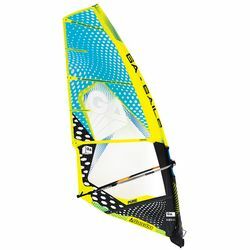 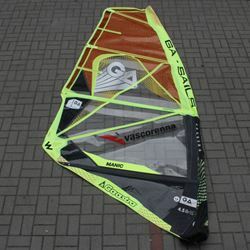 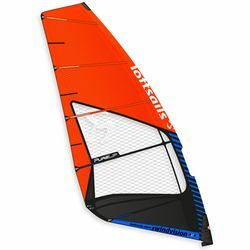 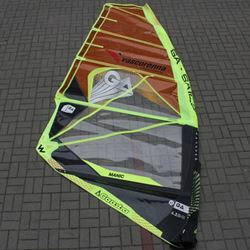 This creates an integrated two-ply that radiates into the sail body. 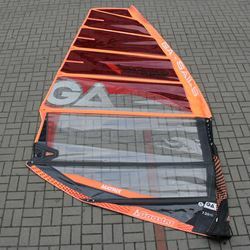 The Loftsails Pure Lip, Wavescape, Airscape and Oxygen designs are equipped at specific locations with our exclusive standing battens. 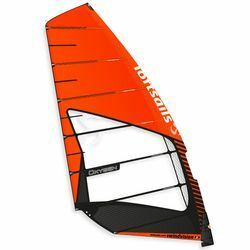 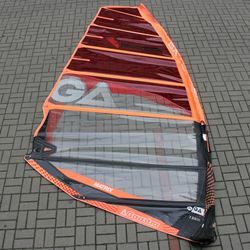 Loftsails rectangular batten section (10mmx7mm rod) is profiled on the wider dimension this forces the rear section to resist flex in its stiffer (standing) orientation. 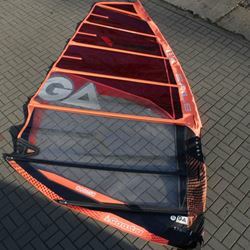 The effect is like tubes (stiff!) 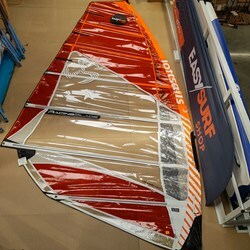 and does not suffer fragility in the surf. 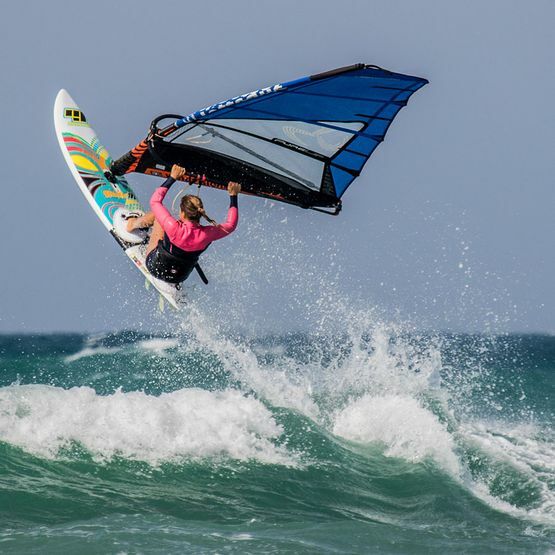 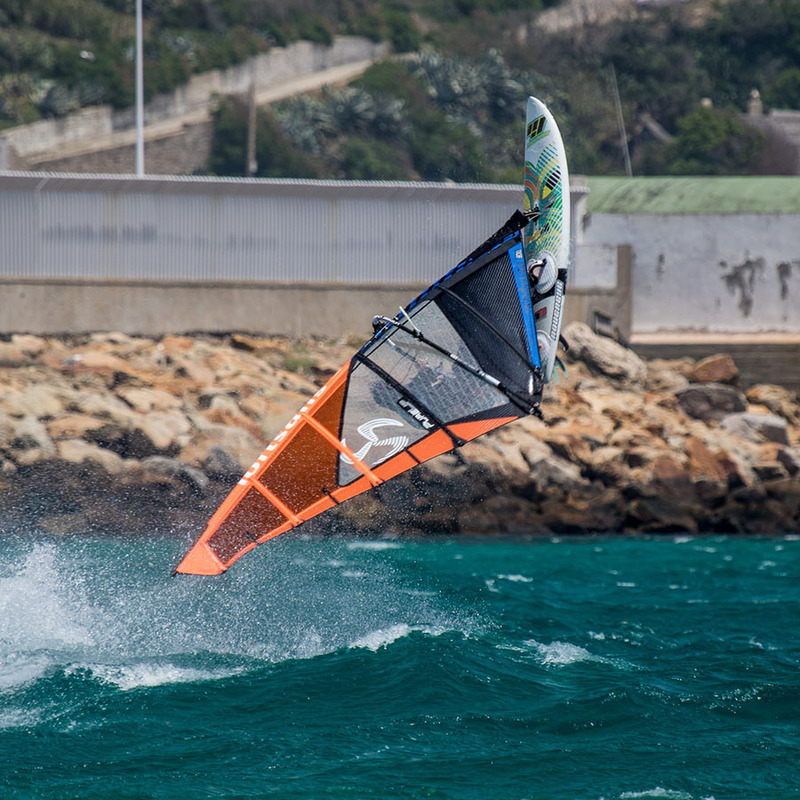 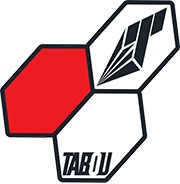 Tarifa`s famous nuclear winds and rough sea conditions are truly challenging, with our Pure Lip I can attack these demanding conditions with total confidence.